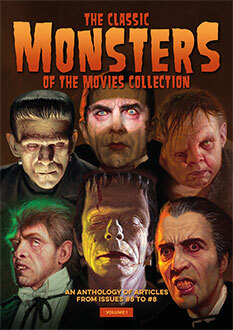 We all love classic monsters (who doesn’t?) and we all love to share this passion online, but sometimes it’s great to hark back to the tradition of monster magazines. 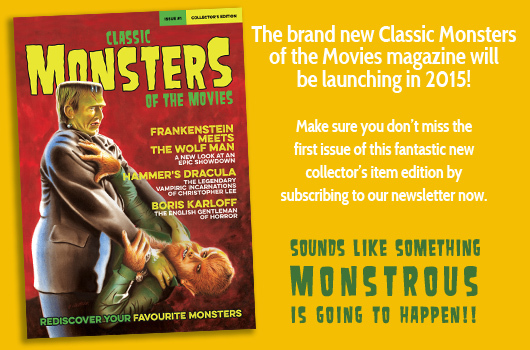 That’s why we’ve been very busy of late, working under cover of darkness on our new magazine, Classic Monsters of the Movies. Launching in 2015, this amazing new publication features cover artwork by acclaimed illustrator Ron Whittaker, with in-depth features and analysis on movies, characters and stars, from a team of world-class journalists. Lifting the veil on all those monsters we love to fear, Classic Monsters of the Movies is bringing the world of horror something to talk about. Among many other compelling articles, issue 1 takes a fresh look at some iconic horror movie characters, and reveals the tragic stories of many monster stars. Future issues will scour the horror universe, bringing you a unique perspective on your favourite monsters – as well as some horrors you might not have encountered before. 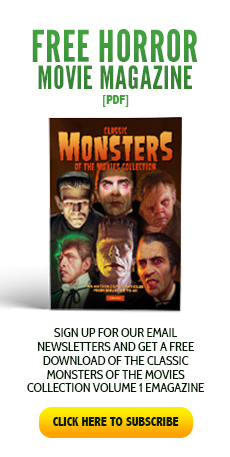 Each issue of Classic Monsters of the Movies will be available in eMagazine format via secure download, as well as collector’s edition printed copies. Sign up to our newsletter below, and you’ll always be in the know when it comes to publication dates. Are we likely to see some kind of binder in the future to house these fabulous magazines? 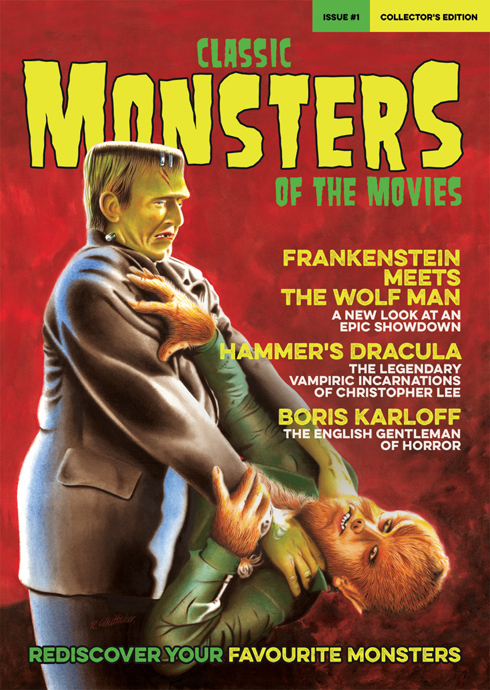 Great magazine has all my favourites Karloff Chaney and lugosi.Keep up the good work. I have been getting this since the beginning, shouting from the roof-tops, “Its Alive, Its Alive). Words cannot express my enjoyment of these issues. I hope to enjoy all of this information for many years to come!